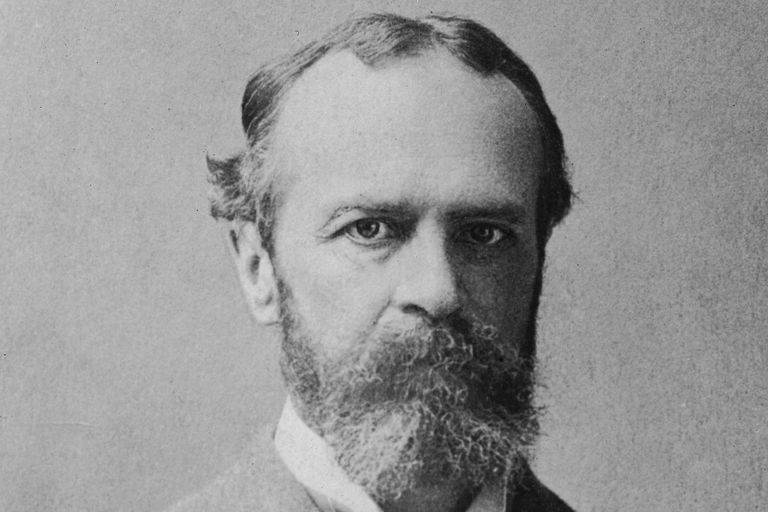 Psychologist and philosopher William James (1842-1910) is often referred to as the father of American psychology. His landmark textbook, The Principles of Psychology, is considered a classic text and one of the most significant works in psychology history. In addition to his work as a teacher and researcher, James was also known as a writer of great eloquence. Wilhelm Wundt, who is called the founder of modern psychology, famously remarked that James's Principles was beautiful. James's own assessment of his ability was far less glowing. At one point he wrote, "I have no facility for writing, as some people have." The following quotations offer insight into William James's beliefs, theories, and philosophy. "Compared to what we ought to be, we are half awake." "If there is aught of good in the style, it is the result of ceaseless toil in rewriting. Everything comes out wrong with me at first; but when once objectified I can torture and poke and scrape and pat it till it offends me no more." "What an awful trade that of professor is—paid to talk, talk, talk! It would be an awful universe if everything could be converted into words, words, words." "Philosophy is at once the most sublime and the most trivial of human pursuits." "Be willing to have it so. Acceptance of what has happened is the first step to overcoming the consequences of any misfortune." "Our errors are surely not such awfully solemn things. In a world where we are so certain to incur them in spite of all our caution, a certain lightness of heart seems healthier than this excessive nervousness on their behalf." "There is but one cause of human failure. And that is man's lack of faith in his true Self." "He who refuses to embrace a unique opportunity loses the prize as surely as if he had tried and failed." "All natural goods perish. Riches take wings; fame is a breath; love is a cheat; youth and health and pleasure vanish." "If merely 'feeling good' could decide, drunkenness would be the supremely valid human experience." "The best argument I know for an immortal life is the existence of a man who deserves one." "We are all ready to be savage in some cause. The difference between a good man and a bad one is the choice of the cause." Who Was Psychologist and Philosopher Erich Fromm?